Summer is here, so now is the time to make the most of Salad vegetables – and although, technically not a vegetable, our Tomatoes are absolutely stunning at the moment. We stock a wide range of varieties of tomatoes, ranging from our English Tomatoes to Heritage and On the Vine varieties. If you are looking for a way to bring the humble tomato up a gear, have a chat with our sales team about our range of heritage tomatoes. 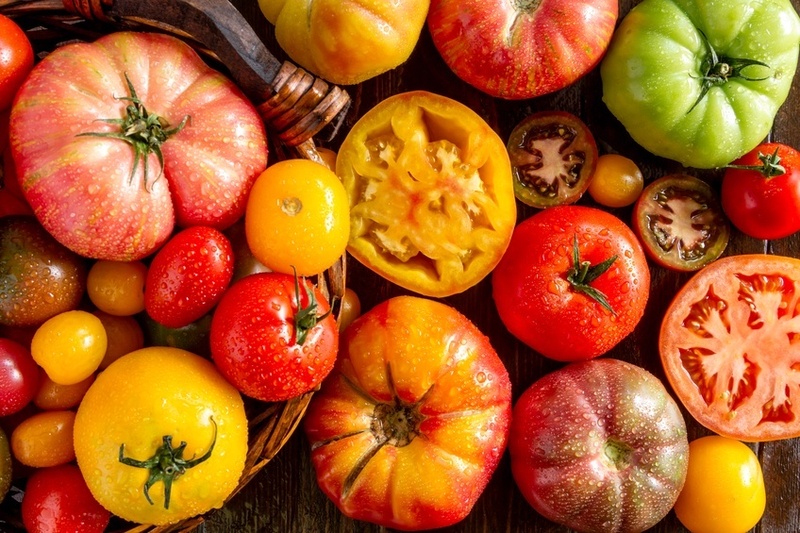 Not only do Heritage Tomatoes have more visual appeal than a standard, round, red variety, they also have a fresh and unique taste and aroma, bringing your dish into a whole new league. If you want to know more about the range of Tomatoes that we stock, call our sales team or take a look on our website and order online!